Another Hope You Can Cling To Challenge card. Teresa has asked us to play a game of ta ta toe…fun hmm? There were nine options in the square, just like tic tac toe and we needed to make a card making tic tac toe with three elements. I chose are pink, button, designer paper to make my tic tac toe. A very simple CAS design this time. 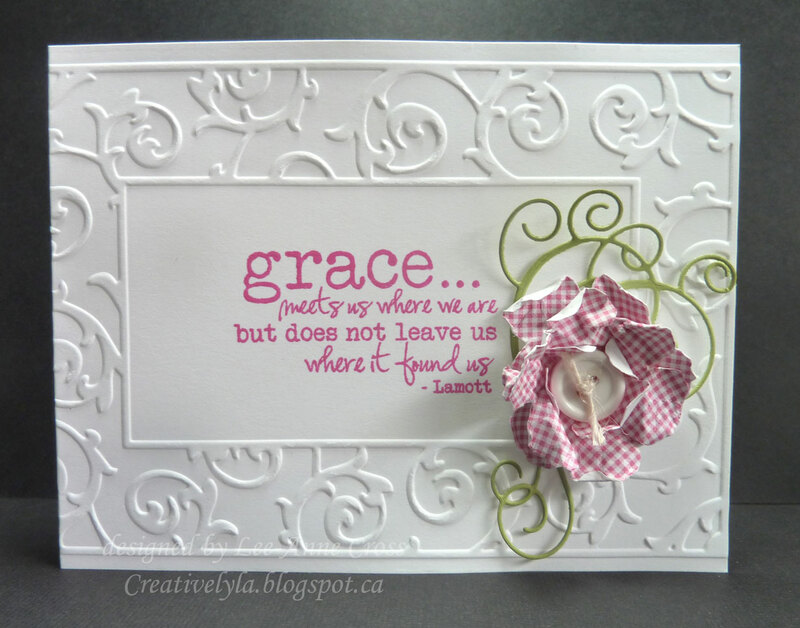 Just simply dry embossed my card base, stamped the sentiment and added the flourish and flower. Hope you have a wonderful weekend! See you soon with more!